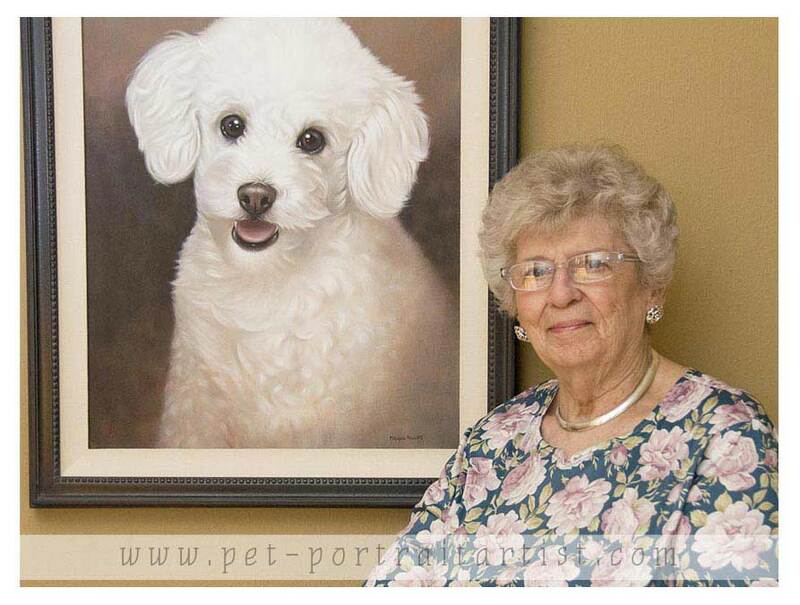 Kim (USA) contacted us in January 2010 as her mum wanted to commission a portrait of her dearly departed dog Samantha. Samantha is missed by all the family. We were happy to paint a portrait in oils on linen canvas to the size of 30 x 20 for them as a wonderful reminder for their family. Kim took a photo of her mum with Samantha's portrait once it was framed and on the wall and you can read her email and a testimonial from them below. 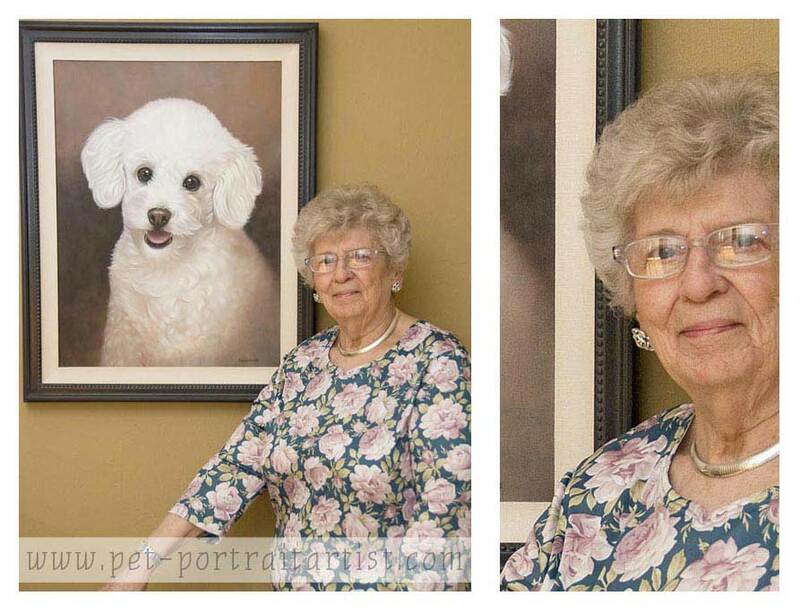 Oh, that portrait is just gorgeous (says she grinning). I think Mom will love it. You have captured her sweet face beautifully! I’ll wait for Mom to see it ASAP. Guess we’ll need to go to McDonald’s for free wi-fi to show it to her since it’s not ready to be posted yet (LOL). I can’t get over the transformation from the beginning to the finish. Like I have said so many times before...you have such a gift! It brought tears to my eyes.